This blog post is intended to give you an overview of the project’s aims, and to detail what form your involvement might take. It is designed to answer some of the questions you might have about the project. What is the aim of the project, Imaging Sheffield? 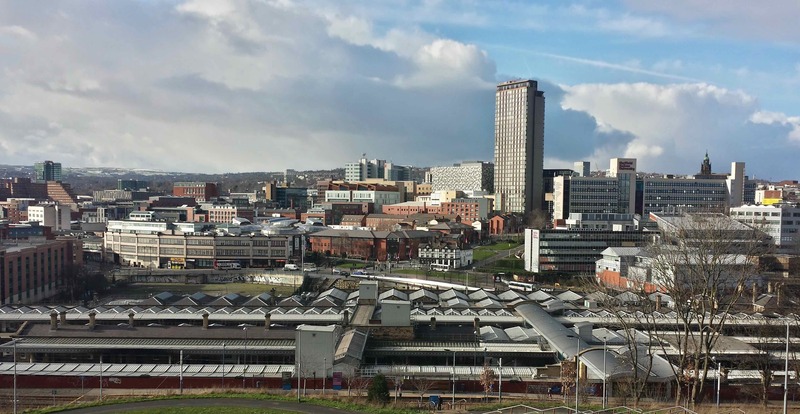 Imaging Sheffield looks at people who share photographs of Sheffield online. The aim is to explore why such images are shared, and how they produce a particular interpretation of ‘Sheffield’. Besides looking at Pictures of Sheffield, I will also look at Sheffield University’s official Instagram feed, and the Twitter use of a local dairy. This study takes an ethnographic approach, which means that the aim is to understand practices from the point of view of the people who do them. I am using this approach to ensure that my study includes the voices and perspectives of the people that I am researching. If I agree to participate, what will that involve? Look at the images you post onto Pictures of Sheffield. Reproduce some of your images from Pictures of Sheffield, typically in a journal article or blog post. Interview you about your use of Pictures of Sheffield, which would be about 30-60 minutes. What will be the outcome of this research? The outcome for this project is an article that will be suitable for publication in an academic journal. I will write blog posts, which will be hosted on both my Medium account (@AnneLBurns) and on the lab’s website. I will also be presenting my findings at upcoming conferences and seminars, including the Visual Social Media Lab’s conference in April 2016. What will the benefits be to me if I participate? Involvement in this project will potentially be interesting for you, in that you will have the opportunity to discuss and reflect upon your photography, both as a practice, and in terms of the images you take. This period of reflection may then feed back into your use of Pictures of Sheffield, and your use of photography more generally, by giving you new ideas or perspectives. What will be the potential drawbacks of participating? It is my hope that the benefits of participating would outweigh any potential drawbacks. However, as I outlined above, this project will require a small amount of your time, but I will try to keep this to a minimum. Additionally, I will ask to reproduce some of your images, with your permission, which might potentially identify you as being involved in this project. Please make sure that you are comfortable with this. You can withdraw your consent at any point during this project. Any data I have collected will be destroyed, and your involvement will end. The data I collect will be in line with the level of anonymity you feel comfortable with. If you wish us to make all data completely anonymous, we will do so. We will then also make sure that no personal information through any statement you make that can be linked back to you. On the other hand, if you would prefer us to use your name, we will do so, but this is always in discussion with you. If you at any point wish to change your position on how we use your data, you can do so by getting in touch with us and we will update our treatment of your data accordingly. If you are happy to participate, please read the following statements and sign underneath to indicate your agreement. I confirm that I have read and understand the description of the research project, and that I have had an opportunity to ask questions about the project. I consent to my data (both images, and data collected during an interview) being analysed, reproduced in articles and conference papers, and stored according to the university’s policy on data management. I understand that my participation is voluntary and that I am free to withdraw at any time without any negative consequences. I understand that I may decline to answer any particular question or questions, or to do any of the activities. If I stop participating at any time, all of my data will be deleted. I give permission for the research team to re-use data collected in this project for future research.